"This weird idea that women maybe can’t open movies or are not important to storytelling or the female story is not high art, it’s bogus." Captain Marvel soared past $1 billion global box office sales this month! As of April 12 — a little over one month after its release — the film had earned $380 million domestically and $664 million internationally. Only 37 other films in history have earned at least $1 billion and Captain Marvel marks the first time that a female superhero has driven this level of ticket sales. The movie's success is one more reminder that, contrary to commonly-held attitudes, female-led films do draw in viewers. "A lot of times in our business there is a lot of bias disguising itself as knowledge," observes Christy Haubegger, an agent with the Creative Artists Agency and part of a research team that conducted a recent study that found female-led films have higher box office returns at every production budget level. "The perception that it’s not good business to have female leads is not true.... They’re a marketing asset." Captain Marvel is the first Marvel Cinematic Universe movie to feature a female solo lead. In the film, which is set in the 1990s, a spacefaring warrior known as Vers with no memory of her past ends up on Earth, and realizes that it may be her planet of origin. As she learns more about her life as Carol Danvers, the female test pilot who supposedly died in an accident with a high-tech plane six years before, she also discovers that the alien race who took her in may not be telling her the truth about either the enemies they're fighting or her own capabilities. The film's themes of perseverance and discovering your own power have spoken to a wide audience, many of whom are looking forward to the character's return in this month's Avengers: Endgame. However, the character is particularly meaningful for girls and women, who rarely see themselves as the heroic lead of a superhero film. Despite the precedent set by the success of the Wonder Woman live action movie, Captain Marvel was beset by skepticism early on. The movie website Rotten Tomatoes even had to change its policies to prevent review comments before a film's release after Captain Marvel's rating hit a low of 27% prior to opening day due to online trolls attempting to sabotage its success. Despite it all, the film had a global $455 million gross on its opening weekend, and ticket sales have remained strong. As a result, another record has also been smashed: co-director Anna Boden has become the first woman to direct a live-action movie that grossed over $1 billion. And, unlike after the release of the 2015 hit film Star Wars: The Force Awakens, where the absence of the film's female star from merchandise led to a fan-led 'Where's Rey' campaign, Captain Marvel is well-represented in many film-related toys, books, and clothing. Actress Brie Larson, who plays Captain Marvel, spoke this week about the significance of the film's record-breaking performance: "This weird idea that women maybe can’t open movies or are not important to storytelling or the female story is not high art, it’s bogus. I don’t want to for a second buy into it... I’m very grateful to have broken this glass ceiling of normalizing the concept that women can also make a billion dollars. I don’t know why that was so hard to comprehend in the first place." Kelly Sue DeConnick, whose the comic writer whose 2012 graphic novel reimagining of the character heavily influenced the movie, added that to her the film's success is a reminder that "a hero is a hero, [There’s] nothing inherently masculine about heroism." And, most importantly, she asserted, "I’m thrilled for the doors this will open and for the little girls who will see themselves as protagonists in adventure tales." 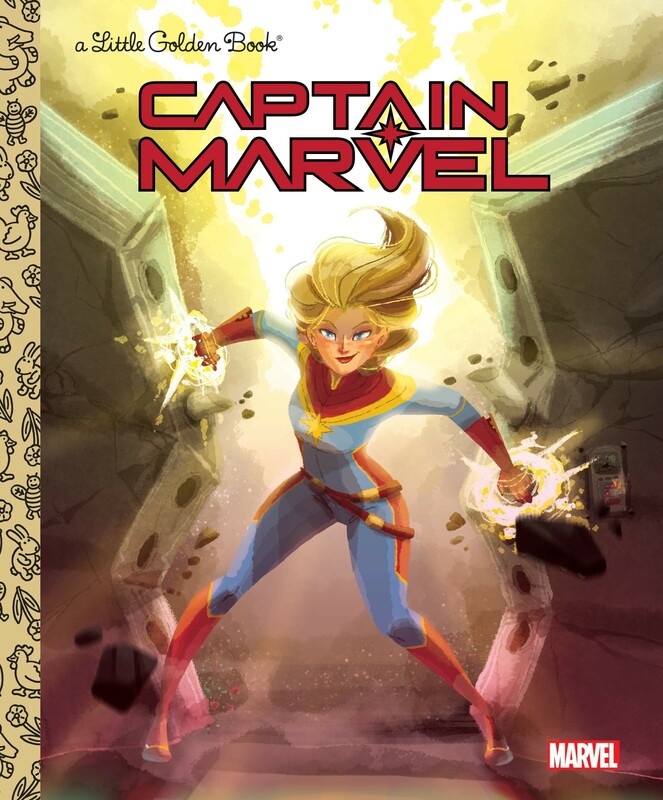 Captain Carol Danvers — AKA Captain Marvel — springs onto your bookshelf in this exciting Little Golden Book all about the out-of-this world superhero! In the classic Little Golden Book format, kids will learn about Captain Marvel's past, her powers, and her allies — including her space cat companion. It's the perfect choice to introduce young superhero fans to this daring hero! Kamala Khan, Squirrel Girl, Captain Marvel, Shuri... the Marvel Universe is full of daring, courageous, and heroic girls! 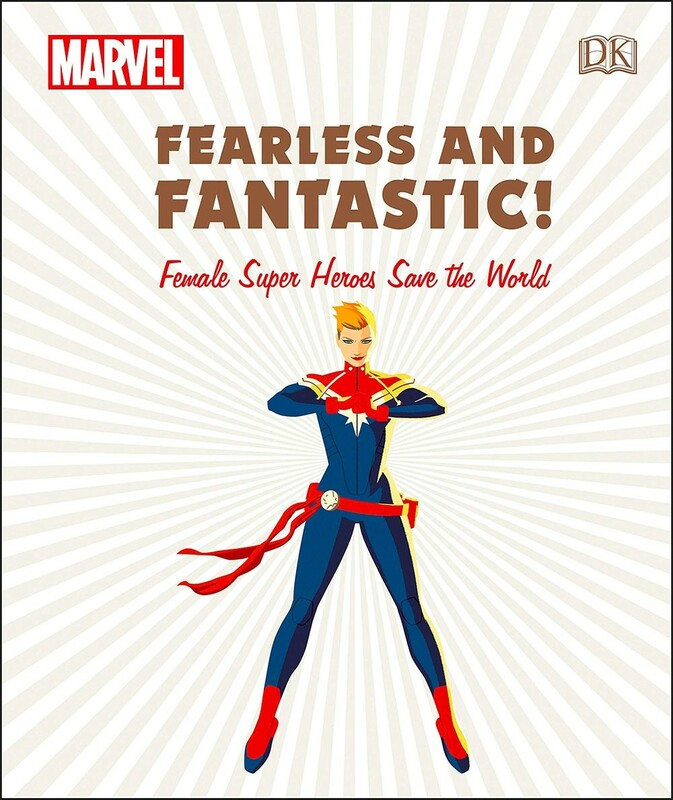 In this exciting volume from comic book expert Lorraine Cink, kids will learn about both famous and little-known girls and women of Marvel. 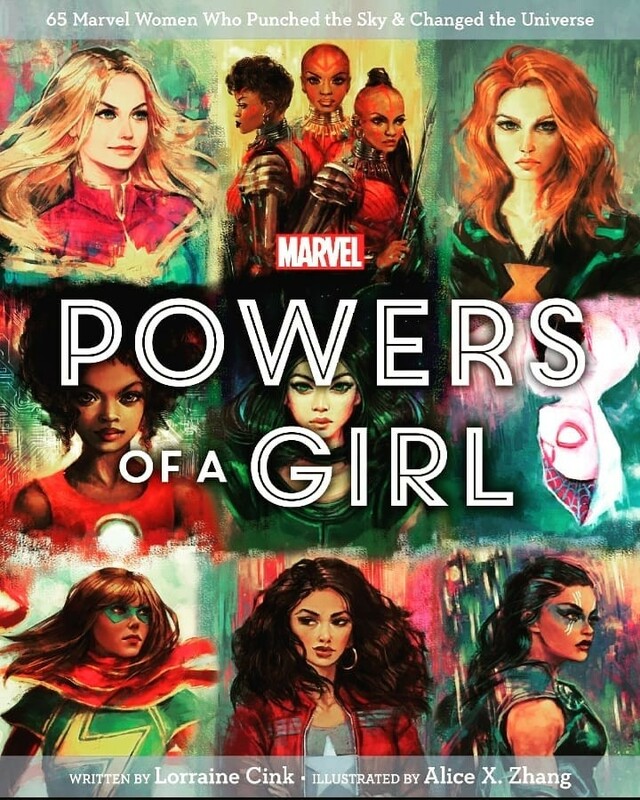 Interesting facts and inspiring stories from both comics and the Marvel Cinematic Universe are paired with vibrant and dynamic illustrations by Alice X. Zhang that encourage new readers to dive in — and longtime fans to dive deeper — into the girl power of Marvel. Carol Danvers becomes one of the universe's most powerful heroes when Earth is caught in the middle of a galactic war between two alien races! 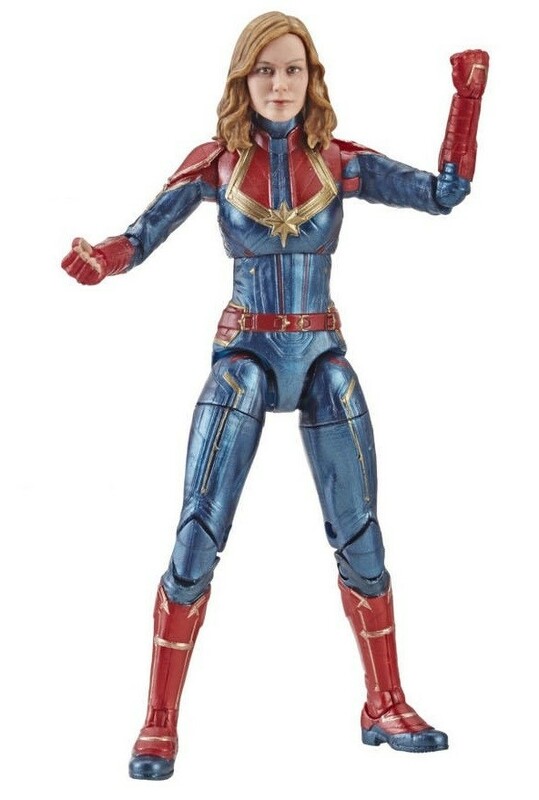 Imagine the action, missions, and adventures of Captain Marvel with this 11.5-inch scale Cosmic Captain Marvel doll. This poseable doll features 5 points of articulation, and comes with two removable superpower-blast accessories. It's the perfect choice for fans of Earth's mightiest Avenger! 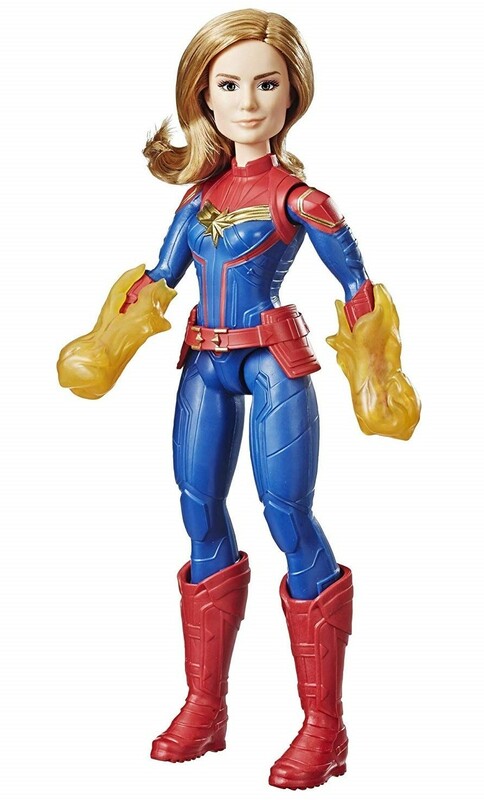 Whether you're a collector or a kid, you'll love this Captain Marvel action figure form the Marvel Legends Series! This 6" action figure is perfect for either play or display, with highly articulated joints that allow for dynamic posing possibilities. The figure also comes with interchangeable heads — one with the helmet and one without — as well as two pairs of swappable hands to help you imagine all sorts of intergalactic adventures. Let the littlest Avengers have fun as Captain Marvel with this cozy dress-up set! 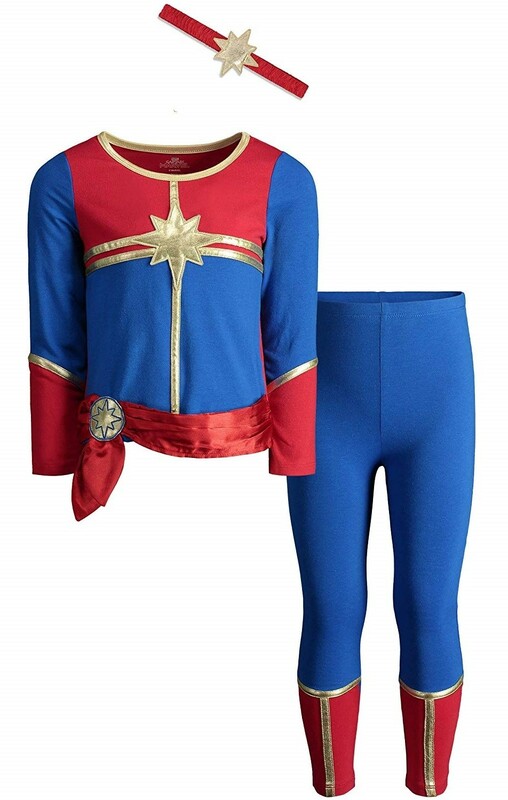 This 95% cotton / 5% spandex, officially licensed set comes with a shirt, leggings, and headband modeled after Captain Marvel's iconic costume, complete with dimensional gold accents and an attached satin "belt." Plus, parents will love that it's machine washable! When the world is in desperate need of a hero, suit your child up in this Captain Marvel costume from Rubies! This officially licensed costume features a printed poly-nylon one-piece jumpsuit with attached shoe covers with open bottoms for easy shoe wear. A fabric printed belt and fabric headpiece — which she can actually pull her hair through — completes the look. For another option, with sizes to fit both kids and adults, check out the Captain Marvel Bodysuit Costume. 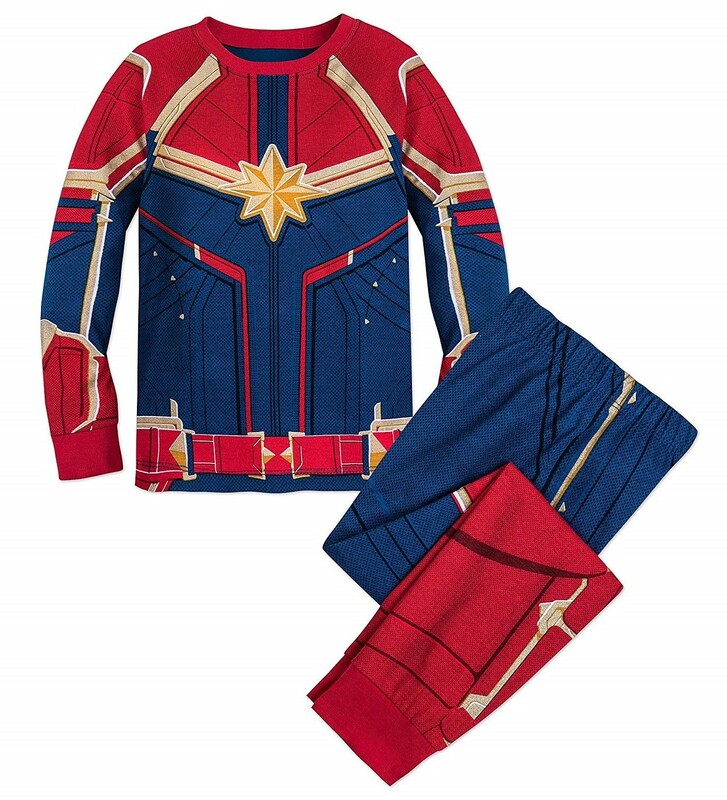 Dream of saving the universe with this officially licensed pair of Captain Marvel pajamas! Inspired by the costume worn by Carol Danvers' alter-ego in the Marvel movie, this sleepwear is perfect for when she's battling tiredness. High-quality screen art provides a detailed replica of the uniform, while the 100% cotton makes them cozy to wear. 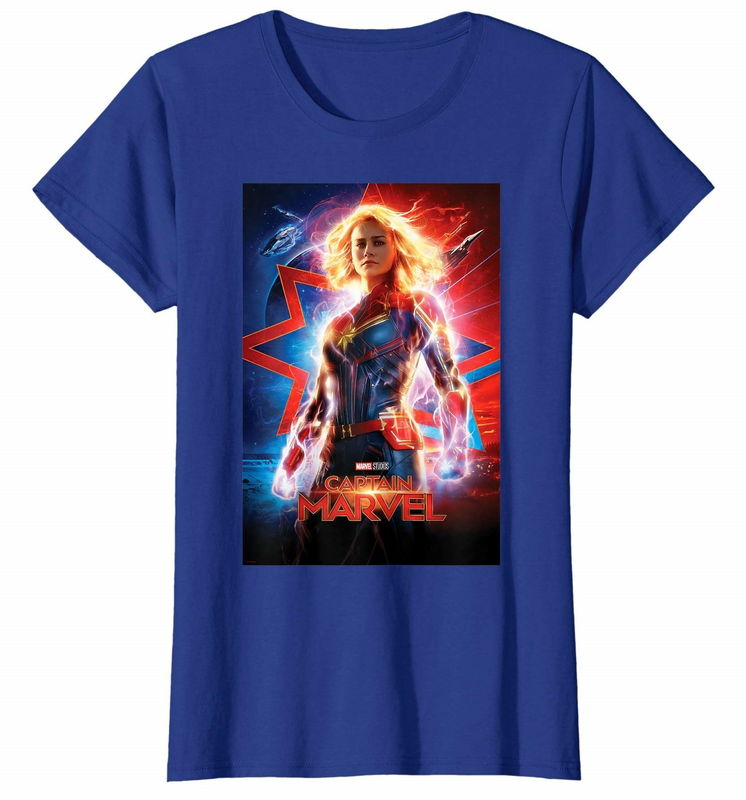 Show off your love for the mightiest Avenger with this shirt featuring the poster art from the Captain Marvel movie! This officially licensed shirt is bright and bold, perfect for fans of any age, and it's available in your choice of five colors. This shirt comes in unisex children's sizes, women's sizes up to 3XL, and men's/unisex sizes up to 3XL. This 5 pack of Captain Marvel ankle socks features a space theme befitting this bold hero! 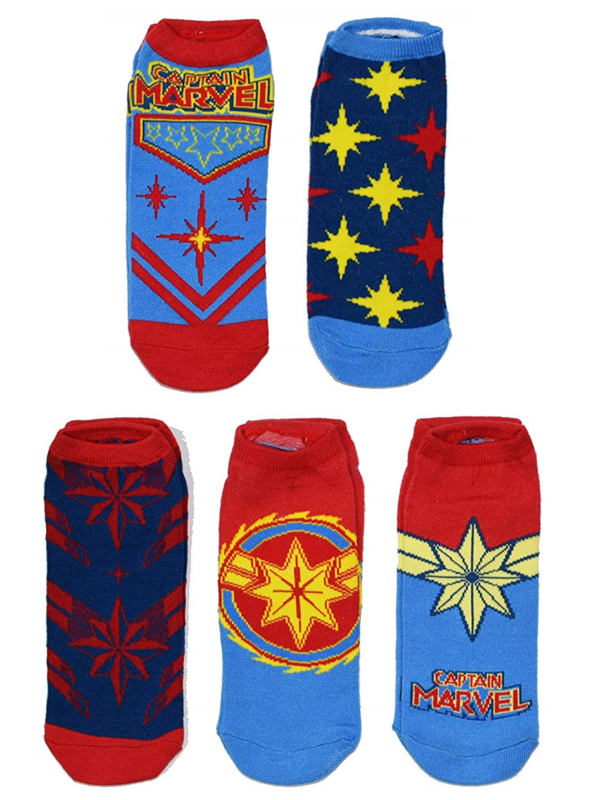 These officially licensed, 97% polyester 3% Spandex socks offer five different patterns in the superhero's bold red, blue, and gold color scheme. They're the perfect choice for any fan of the film or comic book! These socks come in one size which fits most women's shoe sizes 4 to 10.